I posted on here some months ago about my nephew Aaron who is battling cancer. We are now at the stage where time is running out, the hospital say he can only take one more course of chemotherapy. He has been to a clinic in Germany that specialises in immunotherapy treatment which is not currently available on the NHS, following tests carried out a couple of months ago they are very confident that treatment can have a positive effect on his cancer. The estimated cost of the treatment is at least £300,000, a huge team of friends and family have organised numerous fundraising activities, from Art for Aaron in primary schools to eight of his friends walking 147 miles in four days and pretty much everything in between. Should you not want to bid but want to help, my daughter is doing a Skydive to raise money for Aaron so any donation big or small will push us nearer that target. I hate to ask again for help but time is critical. Hope it goes well, Jane. 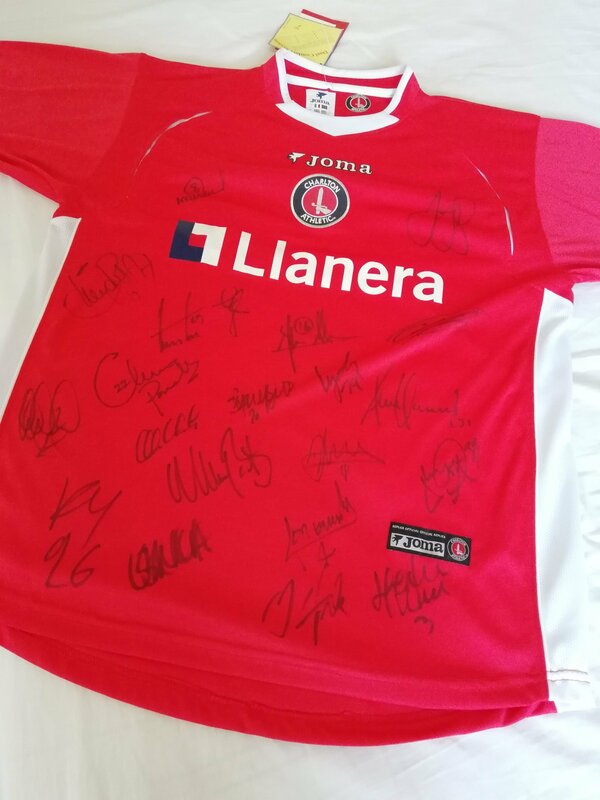 The shirt has the signatures of Curbs, Chris Powell and Matt Holland among others, can vouch for them as I donated the shirt. Please lifers, help this great cause if you can. Thanks Jean, I didn't know until it appeared that they were starting the auction yesterday. That's why I corrected their post on who donated. If anyone is interested we also have boxes of Charlton programs (lots), these were my brothers who died last year. They date from early 80's through to early 2000's, if anyone is interested in taking them off our hands for a donation to Aaron's Battle that would be great. They are currently up North at my sister in law's but I can get more details of exactly what is there if anyone wants more info. I am up there at the end of next week for my daughter's SkyDive so can go through them then. Just let me know. Am sure there are many who would not agree with that, but try to help others when I can. Good luck to Aaron, I hope you raise the funds taregetted to give him a chance. 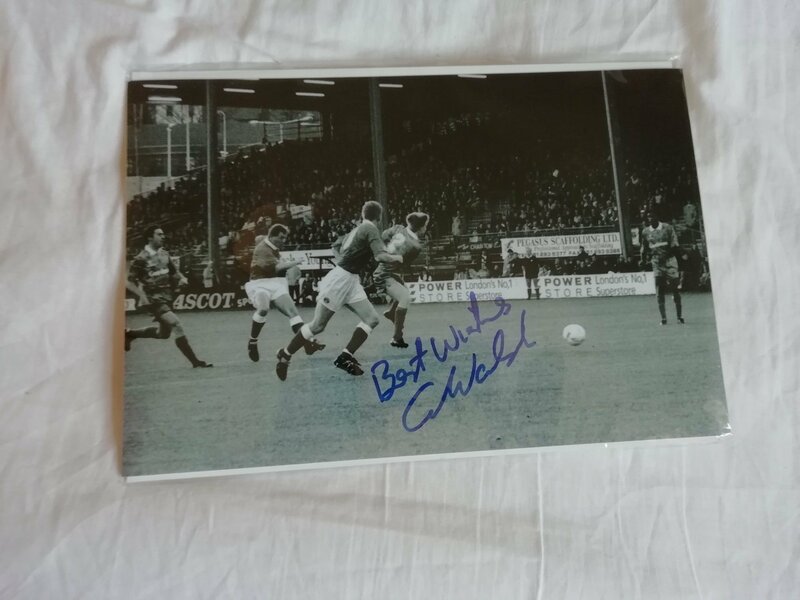 It may not raise much but I have a signed Chris Powell Hartlepool programme. You are more than welcome to have that to raise more money. No bids for the shirt or pic so far. Very disappointed, perhaps twitter not the best place to auction these items? Please try to help lifers, we are usually so generous with good causes, and what better cause than to save a young man's life? I lost my dear sister-in-law to these dreadful disease three years ago yesterday, so know how devastating it is for a family. have you tried eBay? or i don't know if the powers that be on here would allow it? Keep up the good work Jane and well done to your daughter with the Sky Dive for which I have made a small contribution. Really hope it works out for the best for Aaron. Auction is being run on Twitter and Facebook, not ideal and probably not the way I would have set it up but with bids already having been made it is difficult to change now. If anyone wants to bid, let me know on here and I will lodge the bid and post an update each day. I have chased up the organiser to confirm the closing date. I have spoken to @Paulie8290 and if anyone is interested in the programme he has offered please bid on here, I will keep it solely on this site to avoid confusion. At last a bid on the shirt. Worth a lot more though. When does auction end? I will be posting a picture of the programme on here in the next half hour. I though when this first appeared (Facebook or Twitter I can't remember) someone bid £50? £30...... add a zero someone! I thought I'd seen a bid of £50, but can't find it now. Definitely worth ten times more as you say. Just got confirmation end date is 20th, next Friday. I am up there for my daughter's skydive that day and as in all probability the buyer will be down here I can collect the items and then arrange to get them to the lucky (and generous) person who bids the most. 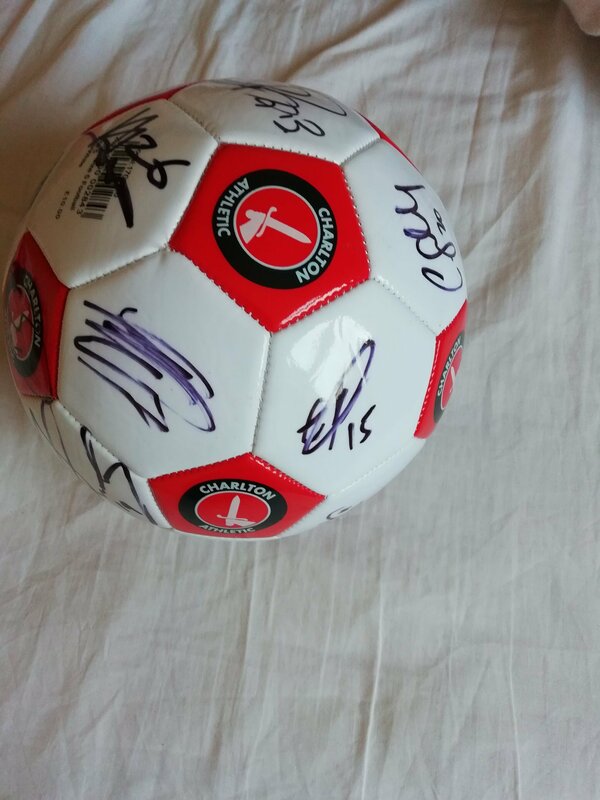 As I'm finding it hard to find things on other sites, can I up my bid on ball to £60, and offer a fiver to start things off with @paulie8290 's programme. I have pointed out the difficulty on the other sites Jean, which they are trying to sort out. Unfortunately as is normally the case with these things we are all learning as we go along. @paulie8290 has just advised me that unfortunately the programme which he had in storage has been damaged by a leak and is completely ruined. Yes, can't be helped, the thought was there. Thanks for passing on my bid for me, still can't find the one for the shirt or pic. Hope there will be more to help with the fund. I hope so, the bid for the pic was PM'd to me on here, the shirt one is on Facebook. Someone from the Aaron's Battle team updates when there is a bid on either Facebook or Twitter and I pass on any bids from here. Both agreed this morning, probably should have just picked one avenue but hindsight is a wonderful thing and we will learn.